The dying cry of Jesus as recorded in Mark’s Gospel, ‘My God, my God, why have you forsaken me?’, has puzzled and inspired Christian thinkers and preachers through the ages. In the past it has raised questions about the historicity of the events of the cross, the identity of Jesus, and the meaning of atonement. In our present day, this cry has taken a central place in grappling with the problems of human suffering and in exploring the idea of the suffering of God. In this book Anthony Clarke brings together a careful exegesis of the Gospel text with a study of the way it has been used by four modern theologians: Jurgen Moltmann, Dorothee Solle, Eberhard Jungel and Hans Urs Von Balthasar. This leads him to conclusions about the vulnerability and justice of God which began to meet the challenge of doing theology after the Holocaust. 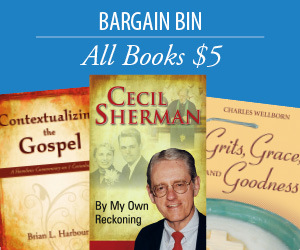 He also draws practical implications about hope for both the Godless and the Godforsaken. 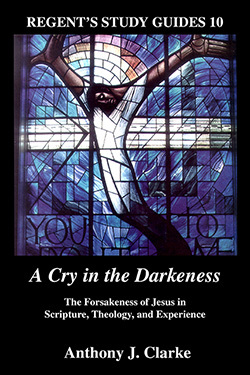 Throughout, he shows the way that biblical study, theological thinking and pastoral experience are related in reflecting this cry of forsakenness uttered in the darkness of the cross. Anthony J. Clarke is the Minister of South Oxford Baptist Church, and editor of the theological journal, Regent’s Reviews.